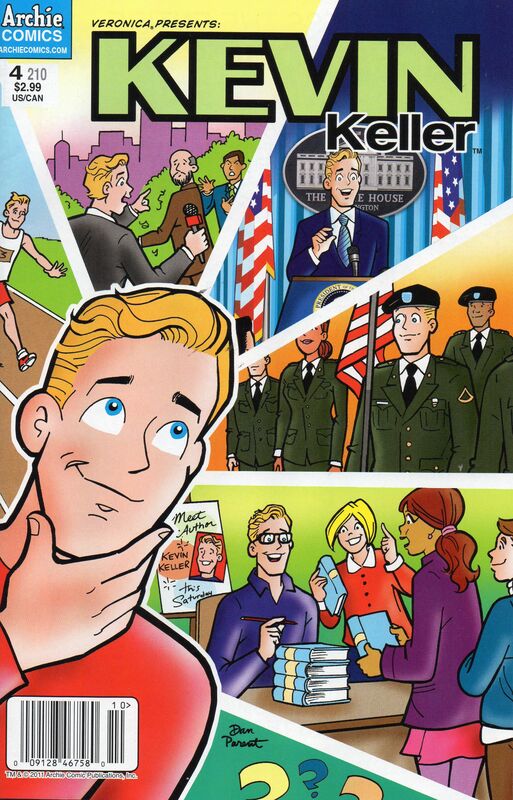 Kevin Keller in "Read Between The Lines!!" So after the debut of a gay character, two interracial marriages and a character getting breast cancer, what does the future have in store for the gentle folk of Riverdale? 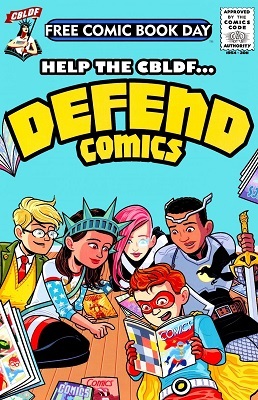 And now Kevin Keller has his own ongoing! This will probably be my last KK post for a while as by now you either like the character enough to follow the series or don't. So if anyone else wants to post future issues, you won't be stepping on my toes. Four pages from Kevin Keller #1, "There's a First Time for Everything!" In other news, Imageshack waited until I was over a hundred images past the limit to remind me that I did in fact have a limit. I'm probably going to spring for the Premium, but just in case, you'll want to go back to my earliest posts and grab any images you're keen on keeping. And while you're there, how about some hindsight comments? In my last post, we visited a potential future in which Kevin Keller can marry the man he loves and no one thought that was the least bit out of the ordinary. 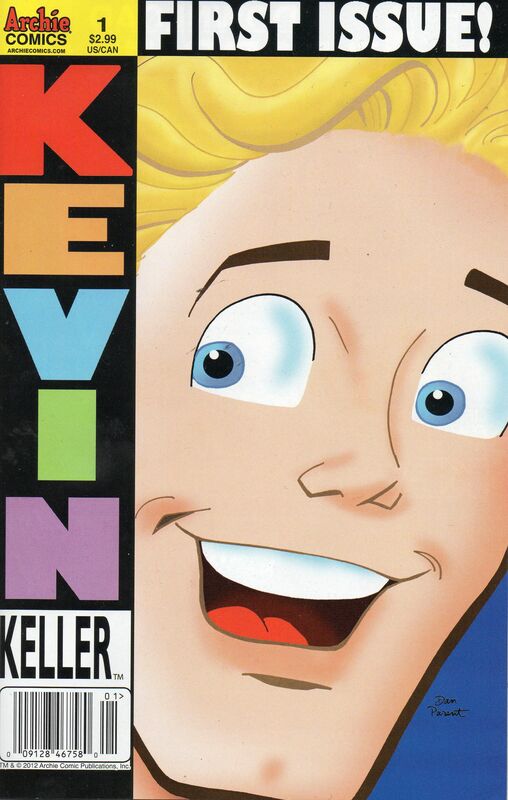 Cover and four scans from Veronica Presents: Kevin Keller #4. Previously, on Kevin Keller, our protagonist did well on Witmasters, a College Bowl-like TV show where he represented Riverdale. He's looking forward to a little less excitement. 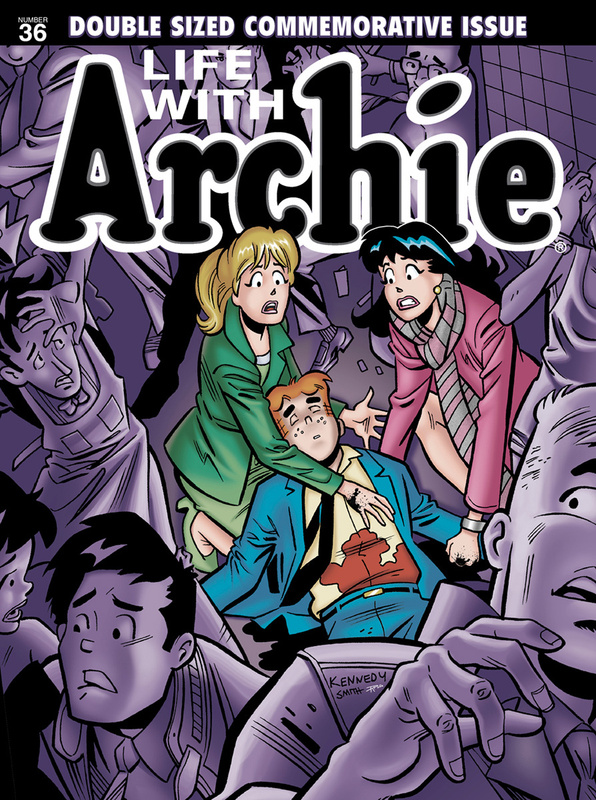 It's been a while since we last checked in with the "Life With Archie" title. As long-time readers will remember, this magazine showcases the alternate futures where Archie marries either Betty or Veronica. This resulted...somehow...in Hiram Lodge becoming an archvillain. (We've since learned more about what happened to make him that way, and it's a doozy.) Plus a whole host of other subplots. --it's interracial! 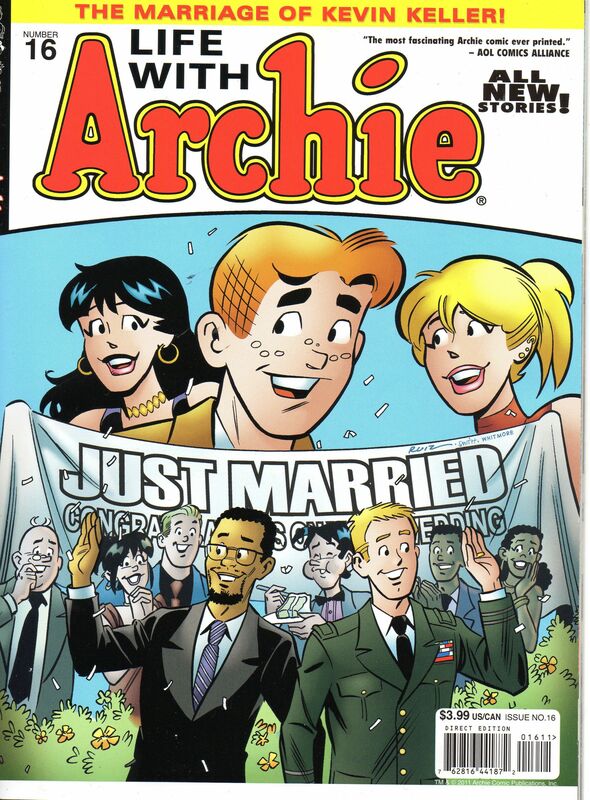 I'm pretty sure this is the first interracial marriage in Archie Comics, not counting aliens or monsters. Current Music: "You're the Cream In My Coffee"
Below the cut are four pages from Veronica #202, which introduces the new gay character, Kevin Keller to Archie fans. If you saw the original preview a few months ago, you saw it was handled pretty tastefully. Veronica has a crush on Kevin. Kevin confides to Jughead he's gay. Jughead doesn't bat an eye but decides not to tell Veronica because he thinks it will be fun to watch her suffer. However as we see under the cut, some of the gang are starting to think that it's more there's more than a Cable/Deadpool bromance going on between Forsythe P. Jones and Kevin.